Today's the first day of Bout of Books 20! 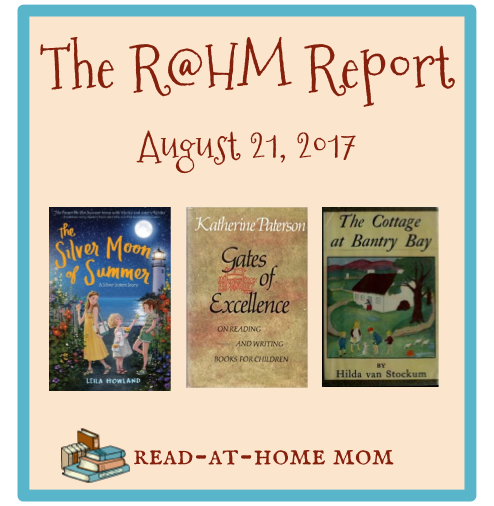 Before I jump full-force into the read-a-thon, here's my report on last week's reading. This was one of my most anticipated books of the year, but it was really just okay. I think I would have really loved it when I was ten, though. I'll have a review up on Goodreads eventually. This was great. 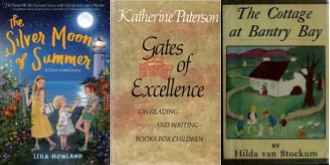 I have a new respect for Katherine Paterson now and a renewed desire to read everything she's written. I plan to squeeze in a blog review of this before the month is over. This feel-good family story includes lots of references to Irish folklore and history and a fun larger-than-life character named Paddy the Piper. It was a quick and pleasant read for a summer weekend. Review coming in September. I did read a good chunk of this book this week, but I'm only up to the birth of Moses. I'm not sure I will finish - perhaps not this week. I barely touched this all week. I may not end up finishing it while it is still technically summer, but I will make it to the end eventually. I am still planning to do a post about this series after I've read all of the books. The premise of this one seems weak compared to the first two books, but I'm still enjoying the exploits of Bruno and Boots. My turn on the hold list for the ebook copy of this book came up yesterday, and I read the first chapter. Though it is an adult novel, it reminds me a lot of books by Sarah Dessen and Joan Bauer so far. It seems like I will like it more than the first book. I still have this on my nightstand, but to say that I am reading it is really a stretch. I hope to make some time for it this week. Otherwise, I may need to revisit it another time. By mid-October I will have 3 kids under 4, and we'll be homeschooling preschool for the oldest, so for the time being, I think my Cybils days are behind me!